It is estimated that the average Australian will spend an unbelievable 60 hours per year searching for important items like their keys, wallet and phone. This can be a frustrating way to lose time and means that each day starts off with a same frustrating ritual. Wouldn’t it be excellent to put an end to this routine once and for all? That’s precisely what our key finders offer – as well as protection against the loss and theft of those items. What good is a key locator if it constantly falls out of range? In those instances the locator becomes nothing more than dead weight and another object on your keyring. We have resolved this issue by offering the best range in the industry. No other product from our competitors can compete with the 110m range that we offer. 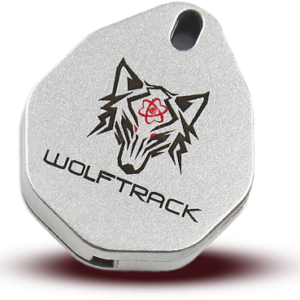 These locators are traceable via our Wolftrack GPS app which is simple and convenient to use. We also have a provision for those instances where your locator falls outside of range. There will be times when an item is stolen or lost and it will go out of range. But we have provisioned for this instance by offering support from the BlaqWolf community. 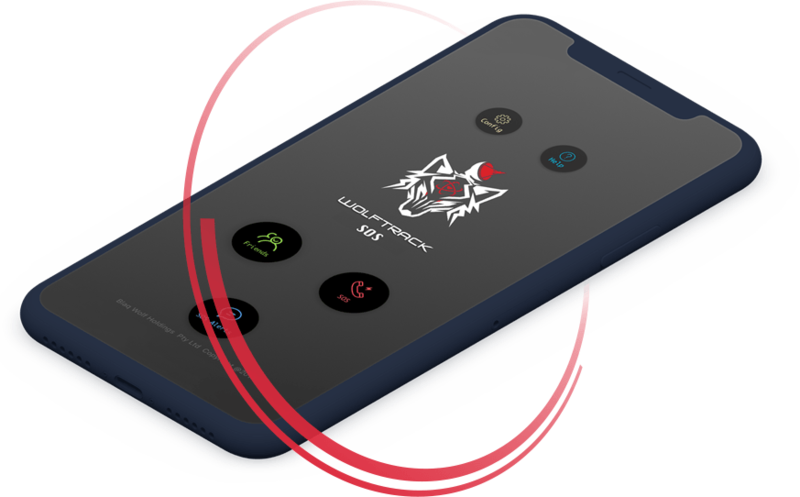 Once your locator is marked as lost an SMS message will be dispatched directly to you the moment that it enters within 110m of another BlaqWolf user. 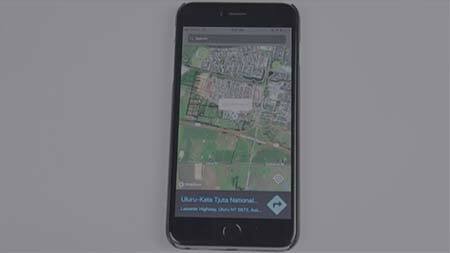 This means that your range is even larger than it first appears and you can track your locator at huge distances. We have no control over where our objects are lost and they may sometimes find themselves in difficult situations. This could be affected by water or hazardous surroundings. If your tracker breaks in these conditions then it will be totally useless to you. This is why we have focused so intensely on build quality and durability. Our locators are IPX4 water resistant and built using the strongest materials available. This is why our locators receive such positive reviews and are renowned for their durability. In fact we are so confident in our workmanship that we offer unprecedented guarantees. All of our locators should be immaculate. If you purchase one of them and discover that it does not work as it should then we will happily dispatch a replacement to you straight away. This demonstrates just how confident we are in the quality and durability of our products. 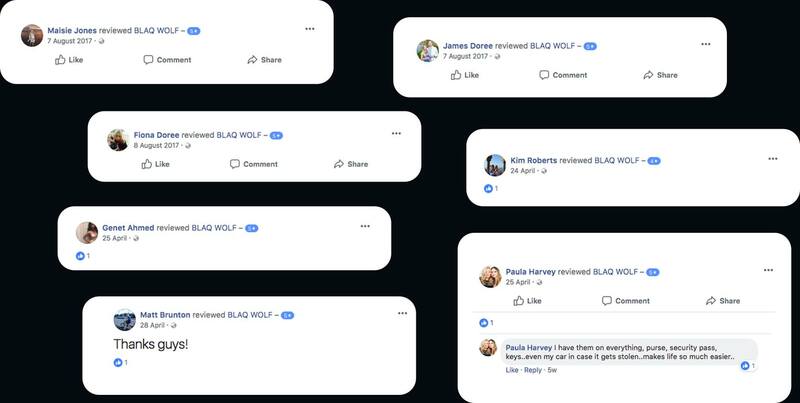 At BlaqWolf we exist to make our customers safe and happy with their purchases. Our key locators offer peace of mind and give our customers the opportunity to track exactly where those keys are should they be lost or stolen. If you would like to learn more about these locators then be sure to visit our website to learn more and browse the packages that we have available. Losing your keys is a horrible event. Our locators give you a second change to track down those lost keys with industry-leading bluetooth ranges (up to an industry leading 110m). Your phone is used to find the locators so the process is very simple. We believe it’s unfair that other locators can let you down by needing to be replaced when their batteries are depleted. That is why ours are replicable – to keep your locator in the game for as long as possible. Would-be thieves and assailants are often opportunistic and will take what they can from you. Your keys included. Use distress signals to call for help immediately. 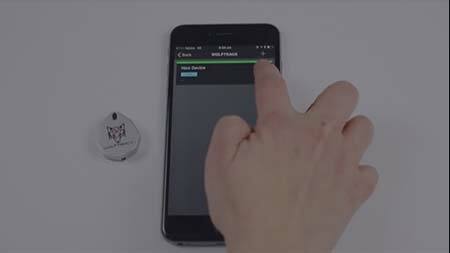 Using the app you can create a perimeter around your home and receive a notification every time that a pair of keys leaves that radius. This can help you if your keys are stolen or believed to be lost. You should not have to worry about getting lost. 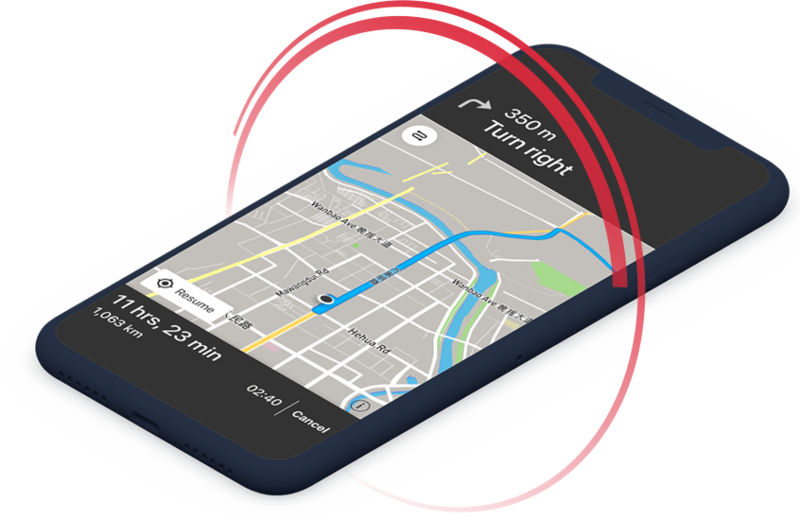 Our convenient, feature-rich GPS can power-up your smartphone and transform it into a navigational device. 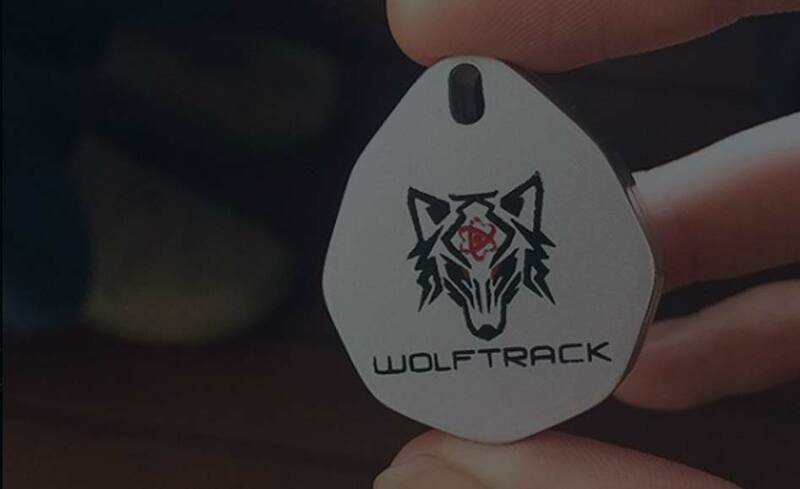 If your locator goes out of range not all is lost: you will receive a notification the very moment that your locator enters within range of another person using the Wolftrack app. Your keys, if lost, could land anywhere. Perhaps they fall from your pocket on a rainy day. The resistant materials that we use mean that your locators are IPX4 water resistant and they can endure the toughest wet conditions. Our batteries last up to a full year before needing to be replaced. This outperforms many of the other competitors in our industry. In the right circumstances a noisy alarm can be used to scare attackers and make them retreat, giving up their pursuit of your valuables in the process. You may have found your keys but lost your phone too. No problem: two taps on the locator will cause your phone to let out a signal. This also works the other way. Never lose your keys again. When you invest in a BlaqWolf product you can rest assured that you’ve made a good choice. The quality and workmanship of our products are unmatched and we take great pride in this. That’s why we offer replacement guarantees on all of our 4.1 Star Locators. If you spend extended periods of time outdoors you’ll know the value of being properly oriented. 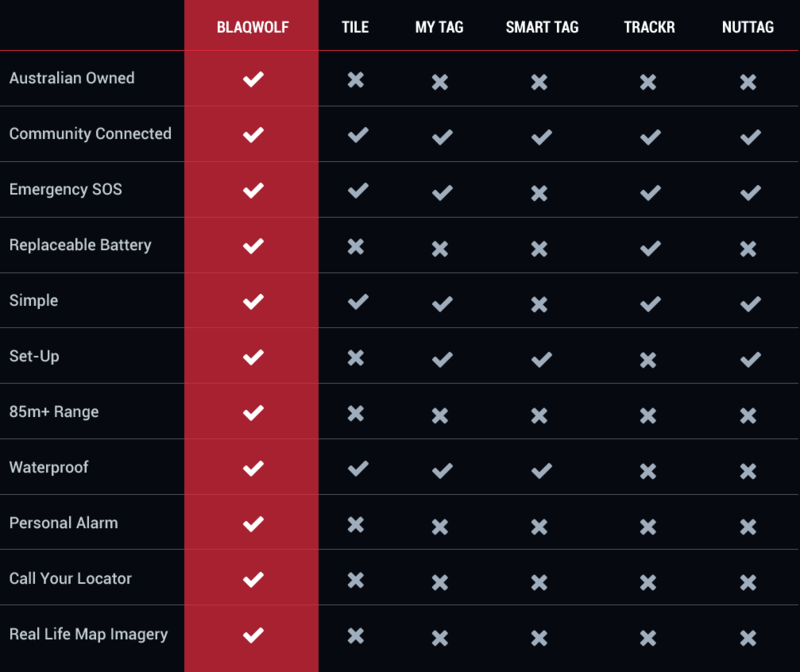 The WOLFtrack app from BlaqWolf transforms your phone into a personal GPS system. With just a tap you can find directions to anywhere in the world and track your location using Mapbox Maps. Never become separated from your keys again: experience this power for yourself today and download the app for yourself. 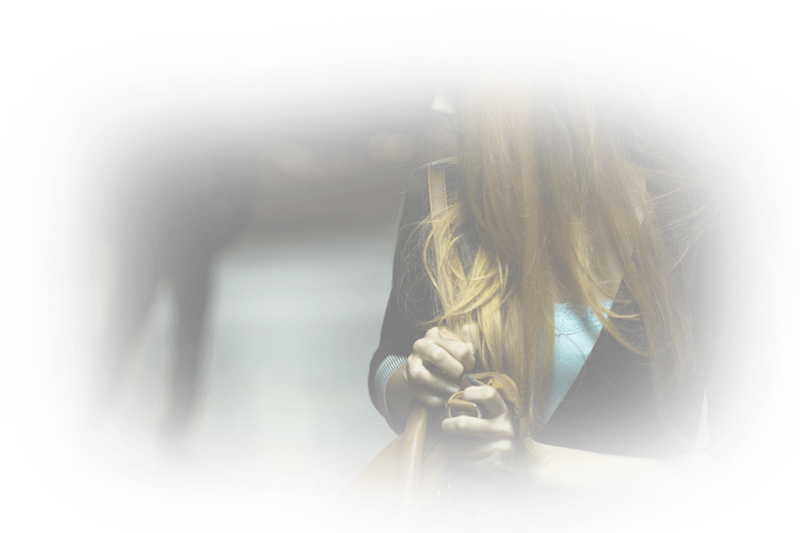 Personal security cannot be taken lightly in today’s day and age. We are all more connected than ever before yet so many people fail to take advantage of this fact. Those days are over. 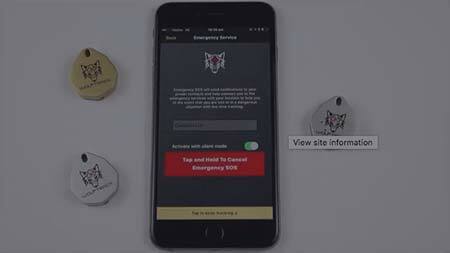 The Wolftrack Security app offers a simple and convenient way to send out emergency signals during a time of crisis. Put your personal security first today and never have a thief separate you from your belongings: download the app. Your pets are a part of the family and they need to be protected. Unfortunately there are bad actors that can look to steal and harm those pets. 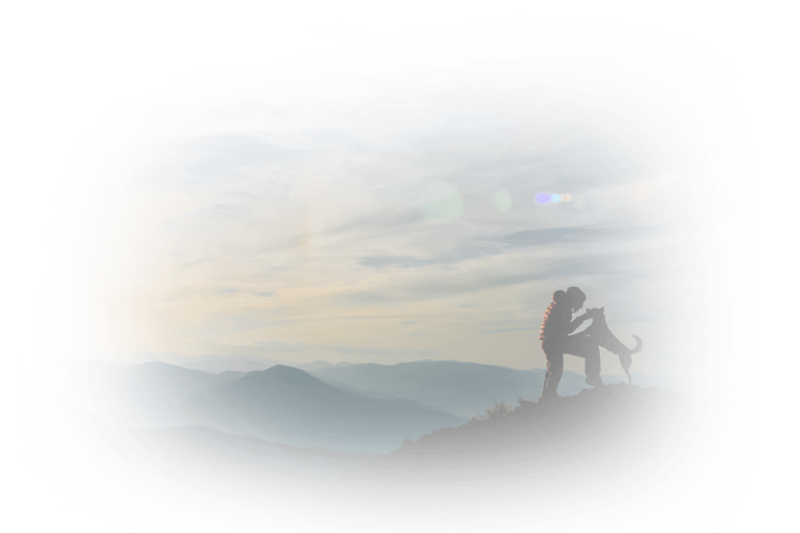 This is why you should invest in state-of-the-art pet finders from BlaqWolf. 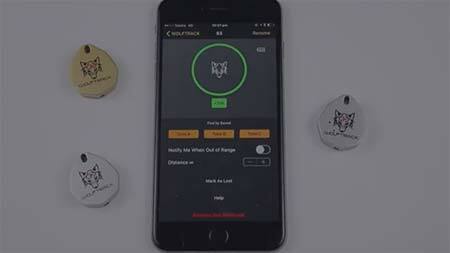 These reliable and accurate trackers are uncontested on the market and can help you care over your animals. Victims of burglary and theft lose prized items that cannot be replaced. Their homes are violated and they find that putting their life back in order can take a lot of time. You can take advantage of new technology to keep a perfect track on those items and find out exactly where they are at any moment. 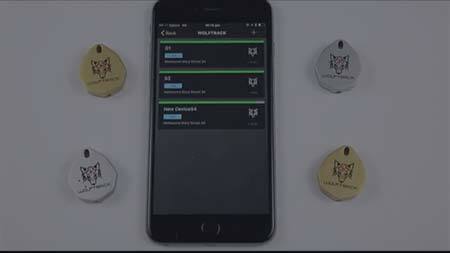 Use the Blaqwolf apps to keep track of those belongings at all times and make sure they’re exactly where they are supposed to be. It is estimated that the average person spends at least 60 hours every year looking for common items that they have lost or misplaced. Losing a pair of keys – whether they are for your home or car – can be an experience that brings your life to a temporary halt. 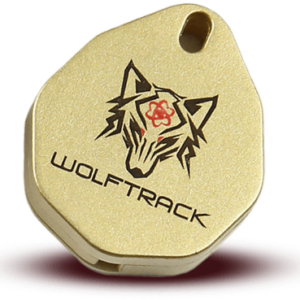 Never let that happen again: equip your keys with Bluetooth key trackers from BlaqWolf. You can find them wherever they may be and say goodbye to the inconvenience and worry that comes with losing keys.